football | Live Healthy S.C.
Super Bowl LII is right around the corner and while there will be lots of cheering and sharing of food during the game, DHEC wants you to sack the flu at your Super Bowl party. DHEC’s most recent flu surveillance report shows as of January 31, 84 people in South Carolina have died from the illness. Flu activity in the Palmetto State is continuing to increase. It is unknown when the flu season will peak. Don’t let the flu defeat you. Here are some tips to help you build a stronger defensive lineup against the virus during your Super Bowl festivities. If you’re sick or someone in your home is sick, bench yourself and stay at home. If you’re planning to host a party and get sick with the flu, forfeit the party and visit a healthcare provider. Don’t get a penalty flag for spreading your germs. Cover your nose and mouth with a tissue when you cough or sneeze. Throw the tissue in the trash after you use it. Show good sportsmanship and avoid sharing germs. Avoid touching your eyes, nose, and mouth. Wash your hands patriotically, even if you hate Tom Brady. Don’t hesitate to call frequent timeouts for handwashing. If soap and water are not available, use an alcohol-based hand rub. Avoid illegal touching by using the appropriate utensils to fix your servings. Use a spoon or tongs if there’s a super bowl of chips or nuts. Don’t double dip or plunge your hand into bowls. Run interference for yourself and others by cleaning and disinfecting surfaces and objects that may be contaminated with germs like the flu. If your team makes a touchdown or big play, avoid holding or high fives and kisses with your friends. Try dancing or an elbow bump to celebrate. Let’s not forget the best protection against the flu is the flu shot. To learn more about how to protect yourself, family, and friends against the flu, please visit scdhec.gov/flu. This entry was posted in Prevention, Public Health and tagged activity, deaths, DHEC, flu, football, illness, Influenza, SCDHEC, South Carolina, South Carolina Department of Health and Environmental Control, Super Bowl, widespread on February 2, 2018 by SC DHEC. Make no mistake: Concussions are serious injuries. With the start of football season fast approaching, this is a good time to talk about concussions and taking precautions to prevent them. Of course, it’s not just football players who get concussions; anyone participating in a contact sport is at risk. So are cyclists who might be involved in an accident. But the injury isn’t confined to sports: For older adults, falling and automobile accidents are common causes of concussion. Signs and symptoms generally show up soon after the injury. However, you may not know how serious the injury is at first and some symptoms may not show up for hours or days. For example, in the first few minutes your child or teen might be a little confused or a bit dazed, but an hour later your child might not be able to remember how he or she got hurt. You should continue to check for signs of concussion right after the injury and a few days after the injury. If your child or teen’s concussion signs or symptoms get worse, you should take him or her to the emergency department right away. Can’t recall events prior toor after a hit or fall. Forgets an instruction, is confused about an assignment or position, or is unsure of the game, score, or opponent. Shows mood, behavior, or personality changes. Just not “feeling right,” or “feeling down”. HEADS UP Concussion prevention program is a Centers for Disease Control and Prevention (CDC)-sponsored program that works to provide trainings and resources centered on concussion prevention in youth sports and activities for children of all ages. Keeping children and teens healthy and safe is always a top priority. Whether parent, youth sports coach, school coach, school professional, or health care provider, the CDC’s HEADS UP website will help you recognize, respond to, and minimize the risk of concussion or other serious brain injury. For more information on HEADS UP, visit the CDC website. This entry was posted in Prevention, Public Health and tagged accidents, brain, CDC, Centers for Disease Control and Prevention, concussion, DHEC, fall, football, injury, South Carolina Department of Health and Environmental Control, sports, traumatic brain injury on August 16, 2017 by SC DHEC. A concussion is a type of traumatic brain injury – or TBI – caused by a bump, blow or jolt to the head or by a hit to the body that causes the head and brain to move quickly back and forth. This fast movement can cause the brain to bounce around or twist in the skull, creating chemical changes in the brain and sometimes stretching and damaging the brain cells. 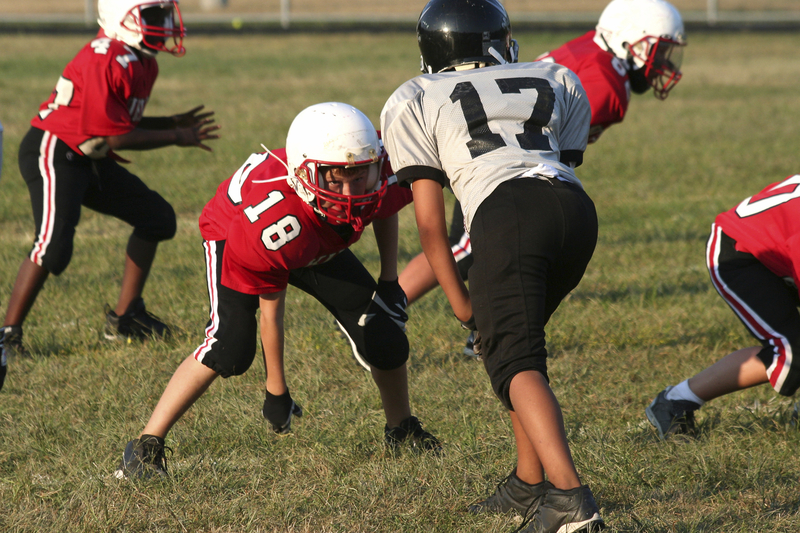 A concussion is the most common type of brain injury sustained in sports. When appropriate for the sport or activity, teach your children or teens that they must wear a helmet to lower the chances of the most serious types of brain or head injury. However, there is no “concussion-proof” helmet. So, even with a helmet, it is important for children and teens to avoid hits to the head. The Centers for Disease Control and Prevention (CDC) offers a free, online course available to coaches, parents, and others helping to keep athletes safe from concussion. It features interviews with leading experts, dynamic graphics and interactive exercises, and compelling storytelling to help you recognize a concussion and know how to respond if you think that your athlete might have a concussion. Once you complete the training and quiz, you can print out a certificate, making it easy to show your league or school you are ready for the season. For more information on concussions and traumatic brain injury, please visit DHEC’s website. This entry was posted in Prevention and tagged concussions, football, sports on August 11, 2015 by SC DHEC.